Several Nokia devices are expected to receive the Nokia Lumia Black update along with GDR3 early next year. There’s no word from the Finnish maker about the availability dates for its devices, but it seems that it may not be too far. 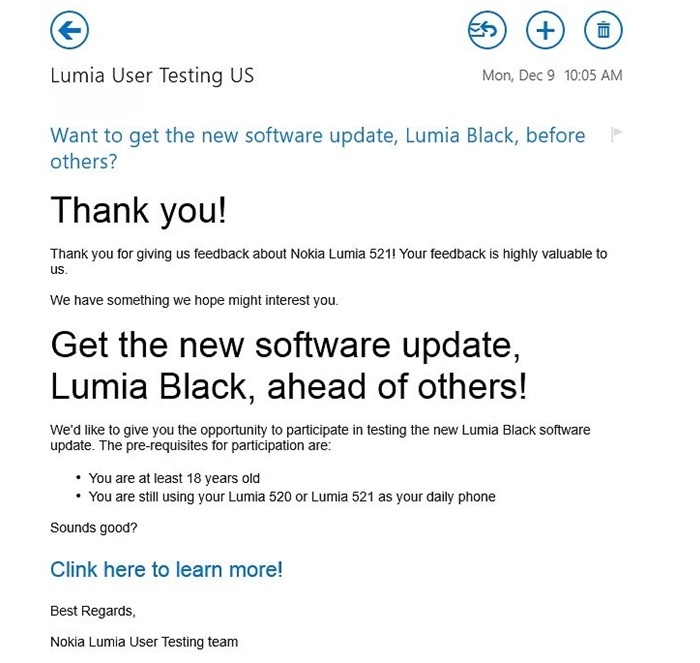 WPCenral reports that users who submitted feedback to Nokia are getting emails from Nokia to test the latest Windows Phone 8 GDR3 along with Lumia Black update. 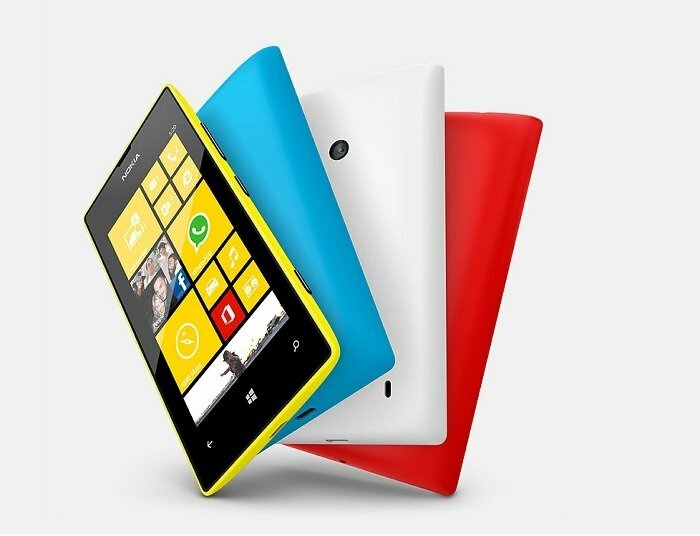 It appears to be mainly the users who are using Nokia Lumia 520 and Lumia 521, but there’s no word if it will be extended to other Lumia devices. It could be the first device as it’s being used my more people compared to any other Windows Phone 8 device. The latest Nokia Lumia Black update comes with several new features and enhancements, including support for Bluetooth LE support, glance screen, several camera updates, RAW camera support for Nokia Lumia 1020 and Nokia Lumia 1520 and more. Earlier, we heard that it will make its way to the devices starting Q1 2014, but exact availability dates are not known at the moment. Stay tuned to Geeky Gadgets and we’ll update you as soon as we have more information about the roll out. If you’re a proud owner of a Nokia Lumia 520/521 and received the beta invite, please share with us your experience and new features you can notice in the update.